A few moments ago we launched Power Manager 3.7.1. This update includes a serious bug fix and a couple of minor improvements. It is available to buy and download immediately. 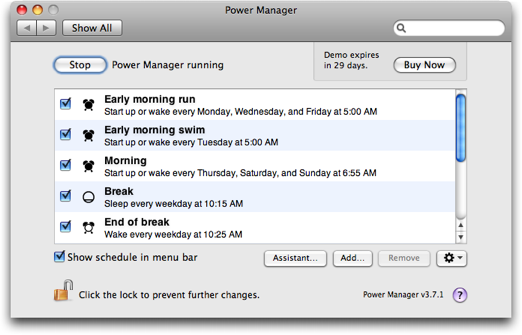 Power Manager 3.7.1 is free for existing users of Power Manager 3 and highly recommended. Fixed a rare bug in daily trigger calculation. This article was posted in Power Manager and tagged bug fix, dssw, Power Manager, and release.